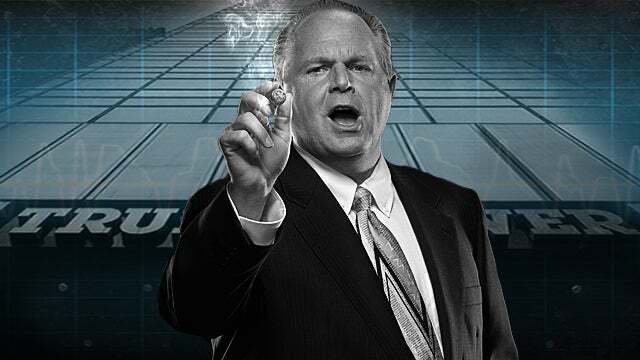 RUSH: Now it’s time to dovetail, turn around back into the investigation news — the Russian collusion, obstruction — all this deep state coup that the people are trying to throw Trump out of office and have been for… It looks like over a year and a half that this coup has actually been underway. In fact, the actual beginning of this still remains unknown. The deep state — the FBI and the DOJ — have misled people about when this investigation began. The most common date given by the deep state — leaked to the New York Times, December 30th, 2017 — was that the investigation began July 31st, 2016, when George Papadopoulos got drunk in a London bar and told the Australian ambassador that the Trump campaign knew that the Russians had thousands of Hillary Clinton emails. Now, as you know, Papadopoulos did not know this on his own, because it was not the Trump campaign that knew it. He had been told that information by two people working for the deep state. One was Joseph Mifsud — who had informed Papadopoulos of this in April of 2016 — and Stefan Halper, who had reminded Papadopoulos of it in July of 2016. It was Halper who arranged the meeting between the Australian ambassador and Papadopoulos. Halper had said to Papadopoulos, “Do you remember, George, those emails — the Hillary emails the Russians have? Remember that, George?” He’d been told in April. The Australian ambassador, who… People are reporting this today as though it’s brand-new news. But it isn’t. The Australian ambassador was a major donor to the Clinton Foundation to the tune of $25 million. His name is Alexander Downer. He was a Clinton operative. He was a Clinton donor. He’s a Clinton supporter. He had donated $25 million to Hillary, basically, and the foundation. He is the one that takes Papadopoulos out to the bar, gets Papadopoulos drunk, and maneuvers Papadopoulos into telling him about the emails of Hillary that the Russians have. Downer acts like he doesn’t even know this, when he does. And he leaves that meeting, and he calls Halper. “You won’t believe what I just was told by a member of the Trump campaign!” This thing was… It was a total setup, folks, using Papadopoulos as an unwitting source for information Papadopoulos was only told by the deep state! It was a total setup. Well, anyway, the New York Times runs a story over the New Year’s weekend 2016 into 2017 — or maybe it was ’17 into ’18 — claiming that the deep state actually opened its investigation with that news. It turns out that’s not true. It turns out this investigation began long before that. Sam Clovis, a Trump foreign policy adviser and friend from Iowa, reports that this informant, Stefan Halper, had sought him out much earlier than July — months and months earlier — seeking a position in the Trump campaign in foreign policy. So the informant, the people working with the deep state — the FBI and the DOJ, the American intelligence agencies — to set Trump up for a major fall running a coup against Trump. This operative, long before he ever met Papadopoulos, is calling Sam Clovis and asking to be hired as a foreign policy analyst in the Trump campaign. He reached out to Sam Clovis. Clovis was not interested and said no and so it didn’t happen. But the attempt was made. So Byron York has a piece today: “When Did Trump-Russia probe begin? 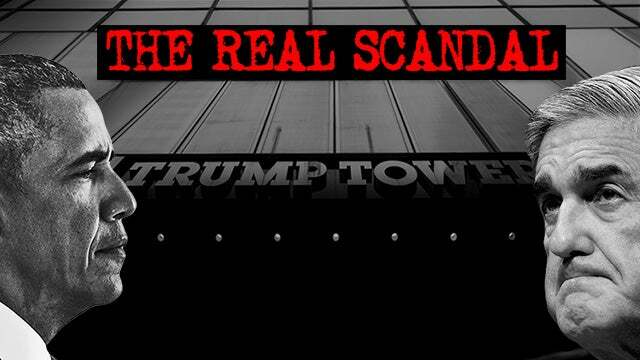 Investigators focus on mystery months.” In a nutshell, Byron York says the FBI began investigating the Trump campaign as soon as Trump announced that Carter Page was a member of his foreign policy team. Trump did that on March 21st, 2016. The FBI already knew about Page, that he had traveled to Russia, had tried to do deals there. And these people had long before this concocted the idea that Trump was colluding with Russia. They were gonna try to make that case. So when Carter Page is named to the Trump campaign March 21st, 2016, that’s the latest, now, that we’re told the coup to get rid of Trump began — I’m sorry, the investigation — began. It might have set off alarm bells in the FBI because Page had previously told the FBI that the Russians had tried to recruit him as a spy in the past. Comey ran to Loretta Lynch with this news. Now, you won’t hear the name in these stories, but you’ve got to remember that we’re talking about the Barack Obama deep state. We’re talking about the Barack Obama DOJ, the Barack Obama FBI, the Barack Obama attorney general. There is… (sigh) You’d have to be a nitwit to think that Obama didn’t know any of this was going on. You’d literally have to be a stooge to think all of this was happening and that Obama didn’t know. More likely, Obama was not only in the know, but offering instructions. So, with that, let’s move to the audio sound bites. 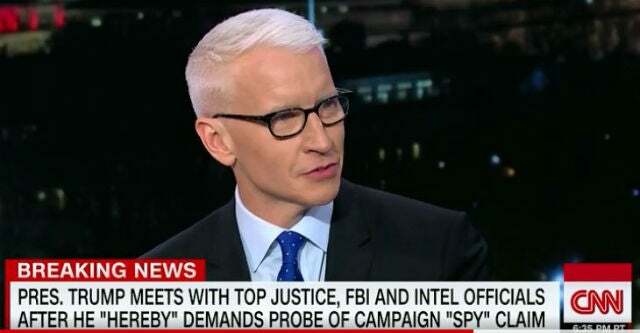 And we’re gonna start here with Anderson Cooper and his show last night, where Anderson Cooper begins the process of blaming Devin Nunes and me for outing Stefan Halper. Now, this takes the cake! The Washington Post, the New York Times outed Stefan Halper. The FBI outed Stefan Halper. I never mentioned his name ’til other people did. I made it a point. You go back and check these transcripts for this very reason. I knew the guy. I told you everything about him but his name, and I told you more than likely you won’t recognize the name. Do you know, by the way, there’s one other thing about Stefan Halper I haven’t told you. During the time that Ronald Reagan was president, you know who one of Halper’s primary weekly contacts was? Stefan Halper and David Gergen were colleagues. Stefan Halper, “Steven,” however he pronounces it, is all over the Washington establish, an accept he member, an elitist. He’s part of the deep state. He has dual citizenship. He’s taught at Cambridge. He’s tart at Harvard. He is from academia, which is where these spies come from. He is tight with the former directory of MI6, the British version of the CIA, and he goes all the way back to David Gergen, who’s now an analyst and so forth at CNN. These people all know each other! They’ve all known each other for years. They didn’t need me to tell them who this guy was and they didn’t need Devin Nunes, and Devin Nunes didn’t out anybody. Devin Nunes has made it clear he wasn’t even seeking the name. Devin Nunes in recent months has sought one thing. He wants the document that details what actually started this investigation, and they have not shown it to him. Anyway, here’s Anderson Cooper from his program last night trying to blame Nunes and me for outing a top secret intelligence source. If you didn’t know better, you would think they were trying to recreate the Valerie Plame controversy here. Then last week the New York Times did some very careful reporting, clearly not labeling this source as a spy sent to surveil the campaign. Which Breitbart News promptly misrepresented under this headline: “Leakers to New York Times Confirm FBI Ran Spy Operation against Trump Campaign.” So that was last Wednesday, and by then the president was pretty much off and running. They’re acknowledging they had an informant. They’re acknowledging they had a spy. But they’re now saying, “Oh, it was to protect Trump. It was to help Trump.” BS! If they were worried about the Russians infiltrating the campaign then why wouldn’t they have an informant in the Hillary campaign, if that’s what they were really worried about? These people are lying through their teeth. RUSH: It’s time to update something that I have told you about many times. I can’t count the number of times that we’ve been through this, but only two was it a pointed explanation. And I want to do it again because we’ve learned something that we didn’t know, that I didn’t know that is highly, highly valuable and very important. Now, this is the story of how Donald Trump found out about the golden showers story New York Times Trump. Now, remember, to set this up, the Trump dossier, written by Christopher Steele, had been floating around Washington all of 2016. None of it had been verified. None of it had been corroborated. And much of that time people did not know that it had been bought and paid for by Hillary Clinton. For much of the early part of 2016, into the summer, it was thought to be an intelligence report put together by this guy, Christopher Steele, a U.K. spy. 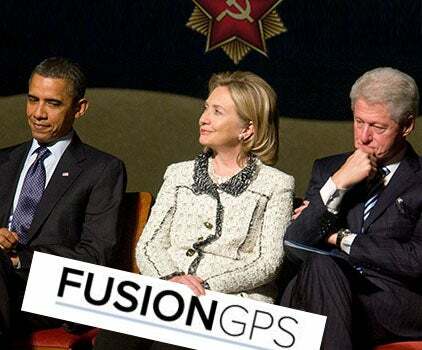 It was only later that was it was learned that the whole thing was opposition research bought and paid for by the Clinton campaign and the Democrat National Committee and paid for through money run through Fusion GPS and a law firm called Perkins Coie. Now, here’s the story. James Clapper assigns James Comey a mission. And that is to go to the White House and to brief Donald Trump on the dossier, specifically one aspect of it, the golden showers story, this story where supposedly Trump hired prostitutes to urinate on a bed in a Moscow hotel after Trump learned that Barack and Michelle Obama had slept on that bed. Remember when Bret Baier interviewed Comey and he asked Comey, “Did you tell the president that this was bought and paid for by the Clinton campaign?” And Comey said, “No, no. In fact, I don’t know that to this day.” He said, “Besides that wasn’t my assignment.” And when I heard this I thought that was really weird, what do you mean, it was your assignment? “No, no, I didn’t. That wasn’t my assignment.” I mean, it registered with me, but then it vanished, maybe it’s just the way the guy talks. It turns out that Comey was being literally truthful. He was given a mission. He was given an assignment by James Clapper to tell Trump about that golden showers story. I don’t know who told Clapper to tell Comey. But somebody had to. So Clapper set it up. Comey told Clapper, after he had presented it to Trump, that he had done it. So Clapper tells Comey, you go up there, you tell Trump. And he did. In the Oval Office, Comey kicked people out, just him and Trump, he tells Trump about the golden showers story, then leaves and immediately calls Clapper to tell him “Mission accomplished.” This is January 6th. Four days later on January 10th, CNN runs the story about the dossier. This makes it official news and permits it to be talked about every day. CNN got an award for ferreting out this news at the last White House Correspondents’ Dinner a few weeks ago. They told CNN it was coming. They provided CNN with the hook. They lied to Trump. They made him think that CNN found out about this dossier on their own, when in fact they had told CNN. They had worked with CNN. This was a program in which CNN was complicit. CNN published the story on January 10th. BuzzFeed published the whole thing six hours later on January 10th. I’ve been explaining this story since the White House Correspondents’ Dinner. The upshot of this is and the new element is that Andrew McCabe knew in advance that CNN was gonna get this story, that Clapper was instructed to tell Comey to tell Trump about the dossier. All of this happened exactly as somebody scripted it. CNN is portrayed as really good journalists, they’re sniffing around, they’re almost on to this, when in fact they were being informed, they were complicit in this. And the upshot, they get an award for great journalism 14 months after this at the White House Correspondents’ Dinner? The new element is that McCabe was involved telling people at the FBI that something big is coming. RUSH: I’ve just been informed that I made a drastic, terrible, grievous, potentially devastating mistake. Sam Clovis did not meet with Stefan Halper prior to July of 2016, as I had thought. He met with Clovis in August of 2016 — a drastic and tragic mistake that could not go uncorrected. Sam Clovis was on the Trump campaign team. He was on TV a lot. He lives in Iowa, and got involved in the story or inserted himself into the story by acknowledging that the informant, spy, whatever, had reached out to him to seek a position in the Trump campaign’s foreign policy. And I tragically, erroneously, terribly and unrecoverably said that this meeting happened prior to July of 2016, and it didn’t. It happened in August. Michael Caputo was on fire last night on the Ingraham Angle — which is an acute angle, by the way — on the Fox News Channel. 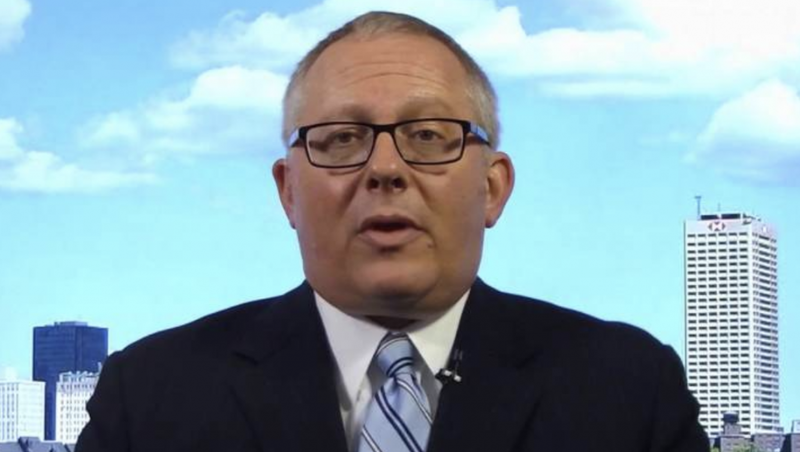 Michael Caputo is a former Trump aide who went before a Senate committee and said… (sigh) He said, “G–D— you to hell.” His family was practically destroyed, his net worth was wiped out defending himself, and he started a GoFundMe page. We talked about it here. CAPUTO: In Russia, they call this the “siloviki,” the national security leadership that secretly spies on the entire citizenry of Russia. And we here are in the United States with our own siloviki underneath President Obama. Let me tell you something that I know for a fact. This informant, this person that they planted — tried to plant — into the campaign and even into the administration? If you believe Axios, he’s not the only person that came with the campaign. And the FBI is not the only Obama agency that came with the campaign. I know because they came at me. And I’m looking for clearance from my attorney to reveal this to the public. This is just the beginning. And I’ll tell you, when we finally find out the truth about this, Director Clapper and the rest of ’em are gonna be wearing some orange suits. RUSH: “Director Clapper and the rest of them are gonna be wearing some orange suits.” Black is the new orange. Or wait. What is it? Orange…? Orange is the new black? Although it could be black is the new orange. You never know who they’re gonna catch here. Now, that is on fire. That is claiming Clapper and some of these others are going to go to jail. Now, folks, I know many of you are frustrated — as am I, and as are many — over the fact that it seems like whoever is running in anti-Trump operation’s on getting away with it and is going to get away with it. And it’s very frustrating. Here these people, they have an actual crime, an actual series of crimes committed by Hillary Clinton and her campaign, which they not only ignore, they maneuver so as to exonerate her. Then over here they are literally in numerous ways trying to invent crimes that they want to claim Trump has committed. I know it’s maddening and it’s frustrating. We know that Hillary Clinton should be wearing orange just on the basis of her email server and the trafficking in classified the cats and documents and any number of other things. But all of that has been exonerated. All of it was maneuvered specifically for Hillary Clinton to be exonerated. Over here, they’re trying to invent crimes that Trump has committed. I want to play… Grab sound bite No. 26. This is Trump from this afternoon. He met with reports with the South Korean President Moon Jae-in. And, by the way, I had a chance to watch a little bit of this during some commercial breaks, and a lot of the access that the media was given today focused on North Korea and trade deals with China, economics with China. Folks, I just have to ’til something. The White House press corps or whoever this was in there today… It is genuinely striking to me how uninformed, unknowledgeable, uneducated they are on basic matters of economics. Trump is explaining… I mean, some of the most ridiculous, inane, stupid questions — many of which are designed to entrap, and they’re feeble. But Trump is answering these questions, and he’s trying to explain the economics of his trade professionals such as with the ZTE deal with China and the tradeoff between intellectual property and tariffs and so forth. And these reporters are clueless. It’s either that they’re clueless or they’re not even listening, and all they care about is getting their questions on record so that they can later report that Trump doesn’t know what he’s talking about. But it is embarrassing. I mean, there used to be a day when at least some reporters could keep up with what government officials or presidents were talking about in terms of the minutia of policy and the basics of things like economics. And I don’t think… I know journalists today are not being taught history — and I don’t know how you can be a journalist without it — and they certainly are not being taught curiosity. They’re being propagandized and indoctrinated in how to advance an agenda. The irony of it is they think Trump is the idiot and he’s running rings around these people, which is my point. I was reading a tweet today by… Who is it? This guy NameRedacted is his Twitter ID, I think, or close. He was broaching this same subject about frustration that these perpetrators and the people running this coup against Trump seem like they’re gonna get away with it. And his point was, go read The Art of the Deal. Really go read the thing. Go find the chapter. I forget the title of the chapter, but the chapter that deals with how to deal with people who try to screw. Trump’s philosophy is anybody that tries to screw you, defame you, lie about you, injure you, has got to be replied to and destroyed themselves. Because if you don’t, you will quickly establish a reputation as soft and weak. And his point was, “Just be patient. Trump knows exactly who these people are and what they’re doing, and their time is coming.” It was his attempt to calm the anger and frustration for people who… You couldn’t be blamed for thinking they’re gonna get away with it. They always do. The deep state gets away with it. Establishment gets away with it. In that regard, here’s Trump today at this meeting with Moon Jae-in from South Korea. John Roberts of Fox said, “Can you tell us more about your meeting with Rod Rosenstein and Director Wray yesterday? THE PRESIDENT: If they had spies in my campaign, that would be a disgrace for this country. That would be one of the biggest insults that anyone’s ever seen — and it would be very illegal, aside from everything else. It would make probably every political event ever look like small potatoes. So we want to make sure that there weren’t. I hope there weren’t, frankly. But some man got paid. Based on what I read in the newspapers and on what you reported, some person got paid a lot of money. That’s not a normal situation, the kind of money you’re talking about. RUSH: He’s not letting off the gas pedal on this. And then he said he’s satisfied the DOJ wants to get to the bottom of it. THE PRESIDENT: The Department of Justice wants to get down to it and I can tell you Congress does. So hopefully they’ll all be able to get together. General Kelly’s gonna be setting up a meeting between Congress and the various representatives and they’ll be able to open up documents, take a look and find out what happened. But if they had spies in my campaign, during my campaign for political purposes, that would be unprecedented in the history of our country. CLAPPER: No. They were not. They were spying on — a term I don’t particularly like, but on what the Russians were doing. Trying to understand, were the Russians infiltrating, trying to gain access, trying to gain leverage and influence. CLAPPER: It’s what they do. RUSH: Do you believe this? So here’s Maude Behar: “Well, why doesn’t he like this? He should be happy. They’re trying to protect him.” It’s a crock! They were not spying on Trump, they were spying on the Russians? They tried to put plants in the campaign. Stefan Halper tried to get hired by Sam Clovis in August of 2016. Not earlier. And he ended up spying and helping to run the operation on Papadopoulos. And for Clapper, he continues to say this, so you can see now what they’re trying to do. They’re trying to turn this all around now. Since they’re the ones that admitted all this in the New York Times and Washington Post, they’re now saying they were being helpful, altruistic toward Trump. They were trying to make sure the Russians were not succeeding. This is no difference whatsoever. They’re acknowledging that they had people inside the Trump campaign. The proof of this is, if they’re really worried about Russia tampering with our elections, then why weren’t they protecting the Hillary campaign as well? And, you know what, since this is such a logical question, don’t be surprised if the next phase of this is that they were, that they did have people in the Hillary campaign looking out for the Russians. And if they do that, then the next question is, then why the hell wasn’t Donald Trump arrested, why was he allowed to go ahead and run this campaign and be elected president, why, if you’ve had this proof all this time, that Donald Trump colluded with the Russians, then why the hell did you let him be inaugurated? That is the very best illustration I can give you that they don’t have anything. The best illustration of all time that they don’t have anything is that they can’t, they haven’t been able to, they won’t be able to stop Donald Trump from being president, running for president, and getting elected. Here’s one more Clapper with Our Moms Embarrass Us. This is unreal how uninformed these women are! She’s asking the guy who set up the plan! James Clapper told Comey, and Comey acknowledges by saying he got his assignment to go tell Trump about the golden showers. Comey comes out, tells Clapper, “Mission accomplished.” Clapper calls CNN. CNN’s waiting for the news. They’re in on it! CNN wasn’t sniffing around like good journalists beating the shoe leather. The whole thing was a setup in order to enable CNN to start reporting on this. So Clapper orders Comey to tell Trump. Comey does. Comey leaves the Oval Office, tells Clapper, “Mission accomplished.” Andrew McCabe of the FBI is told “Mission, accomplished.” He alerts people at CNN is soon going to be reporting on this big trouble. Clapper calls CNN, says, “Mission accomplished.” Four days later, CNN runs the story. And then a short time after that, Clapper is hired by CNN. CLAPPER: Two points I need to make. One, is we did not use it as a source for our intelligence community assessment. We felt, I felt in the “no good deed goes unpunished” department that the president-elect at least needed to know it was out there and that was the whole point of the briefing. At one point Jim and I were both gonna do it — Comey — and at the last moment he said I think it’d be better if I do it alone. Of course I was fine with that. (laughter) And so he stayed after the broader briefing to tell him that. So the point was to warn him, and we didn’t draw on it for our official assessment. And because we couldn’t validate the second, third order assets or collection sources, informants that were used in the dossier. RUSH: That’s a crock. They got the FISA warrant application passed based on this. They were given a FISA warrant based on this thing. But here’s Clapper say, “No, I didn’t want to be in the brief. I was fine leaving there and then the whole thing ended up at CNN. The point was to warn Trump.” The point was to inform Trump, enabling media to report on it. And then Clapper gets hired. I mean, this is such coordination. This is! I mean, if you want to talk about a conspiracy, this is one, folks. I’ve delivered it to you on a silver platter. RUSH: This is Sam Clovis describing his meeting with Stefan Halper, and again, this did not happen prior to July of 2016. It happened in August of 2016. That’s an unforgivable mistake on the timeline. I hope I can recover from this, folks. Anyway, here’s Clovis describing what all happened. CLOVIS: The meeting was very high level. It was like two faculty members sitting down in the faculty lounge talking about research. And there was no indication or no inclination that this was anything other than just wanting to offer up his help to the campaign if I needed it. It was not anything other than him talking about the research that he had done on China. And that was essentially what the discussion was about. And we already had a lot of China people involved. RUSH: Point is, the informant, spy, Stefan Halper, trying to get hired on the Trump foreign policy team. This is Gary in Apopka, Florida, as we head back to the phones. Great that you waited, sir. Hi. CALLER: Hey, dittos, Rush. Thanks for taking my call. I wanted to ask, what are your thoughts about the possibility of President Trump making a proposal to agree to a meeting with special counsel Robert Mueller only if the House Intelligence Committee, i.e., Devin Nunes, agrees to subpoena former President Obama, ask him about his knowledge and level of involvement, you know, with his DOJ and his FBI in the months leading up to the presidential election? And if they can do that in open hearing. CALLER: I thought in open hearing, you know, for the subpoena to Obama, for him to testify in open hearing, I thought that would be the end goal. RUSH: Yeah. You know that that wouldn’t happen, right? CALLER: Well, I know it would be a stretch, but what I’m saying is it sure would be interesting for the ratings if President Trump would at least make that proposal. RUSH: Well, that actually is fraught — I know you’d love to see it, but that includes way too close to an admission of things. “Okay. Well, I’ll do it if you get Obama up there.” No. Fine to think about, but nothing else.